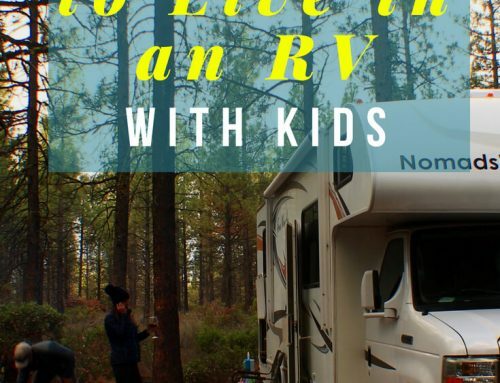 Are you ready to hit the road and explore but you’re worried about taking on the responsibility of educating your child? Or do you know you can do it but you aren’t sure where to start? I’ve been homeschooling my kids for 14 years and for the past 4 years we’ve been doing a combination of roadschoolong and worldschooling. Here’s a basic overview of how to get started roadschoolong and some tips to keep in mind on your journey. Roadschooling, like the name implies, refers to teaching your kids while you are traveling on the road. 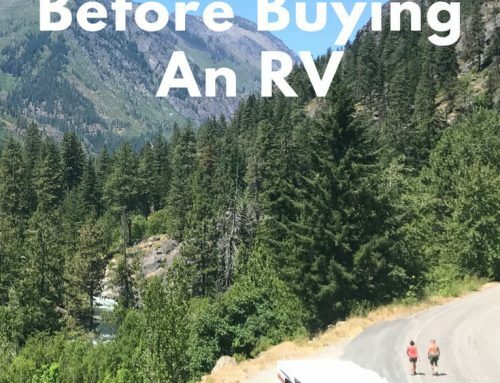 In the past few years many families have decided to ditch conformity and go live out their dream of traveling through the US in a van or RV but they want to make sure their child is still getting a good education. 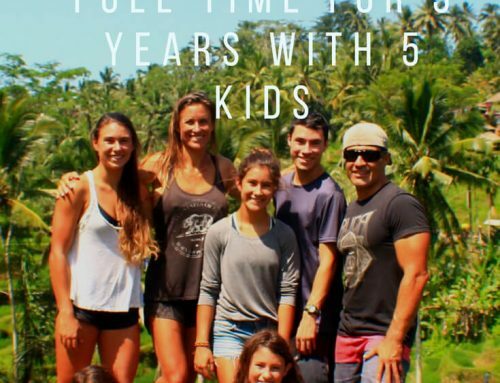 While world schooling tends to imply learning through life experiences as you travel the world, roadschooling typically involves a combination of curriculum with learning through travel experiences. If you have the desire to nurture and bond with your child, then roadschooling might be your answer. By creating a simpler life you have the time and patience to really listen to and connect with your child. I honestly think the amount of time I spend just listening to my kids’ random thoughts has helped their education tremendously because it’s provided space for contemplation of life and after all, this socratic form of education will create kids who are thinkers, planners, questioners, and doers. This in itself is so valuable today. I also feel that the amount of in-life learning they get has helped their self-growth too. Many of the things they are missing out on in school can be Googled in a few seconds today. But as travelers, we are constantly having to research where to go, what to do, budget for, and actually implement plans. Our lifestyle breeds good researching skills and I feel like that is way more important in our technologically advanced society than memorization. First, you’ll need to look into your states law regarding homeschooling. Second, you need to know your intention. If this is just a temporary thing for one year and you plan on sending them back to school the next year, then you probably are worried about them falling behind. Personally, I wouldn’t worry too much. The few areas they may fall behind slightly, like math and writing, can easily be caught up during the following school year. 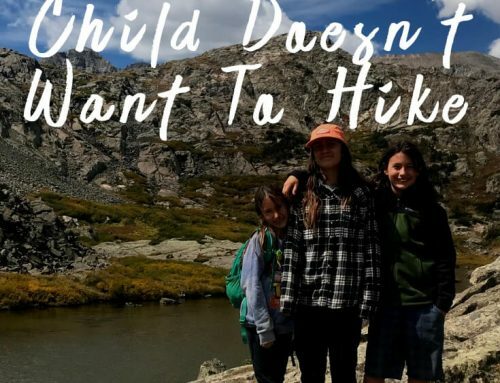 They will probably be learning some history and science through your travels and often the first hand experience they get here will compensate, or even go beyond, what they’d learn in school. Don’t let teachers scare you into thinking your child’s entire future rests on them staying up to common core standards. I’d pick a reasonable amount of school to do, say an hour or two a day, and then focus on two other elements. After all these years of homeschooling, I find my kids’ joy of reading to be the best thing to come from our travels because it’s made them so inquisitive and eager to learn more. Second, get your child more involved in your travels. Have them help plan, help navigate, help set up camp, help cook, help clean, help budget. Get them out in the world communicating with strangers. These are the real life skills they will need to be happy and successful adults. Life on the road provides plenty of time to be capable, logical, and industrious, which are great qualities in any adult if you ask me. 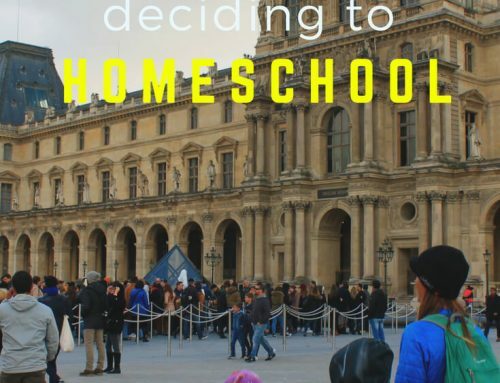 Now if you plan to continue roadschooling and your child’s education is in your hands, then you will want a little more structure and direction to your schooling. When we are on the road, having a routine can be very hard, but I’ve found that I can squeeze the three R’s (Reading, wRiting, and aRithmetic) into a couple hours twice or maybe three times a week. It takes me being good about knowing where my kids need to be long term in order to skip all the time consuming worksheets that a lot of school is made up of. Here’s how to stick just to the nuts and bolts of learning so you can spend more time out in the real world with your child while you travel. Arithmetic- Use math as a means of teaching logic, not as a form of reciting and regurgitating. Reading- Teach them to read and once that’s accomplished, encourage reading of all sorts as much as possible. Encourage your kids to be inquisitive. Writing- Communication is so important in life, but there is more than one way to accomplish this. We can express ourselves through writing, audio, and visual. Find the way your child communicates best and help them learn to excel in that medium. Math is my favorite subject. Everything in math builds upon itself which makes it eady for me to teach two of my kids at once. I can take something like fractions and quickly teach my youngest the basics of them then I can explain adding or multiplying fractions to her older brother. We spend a lot more time understanding the logic of math and how to set up problems than on memorizing addition, subtraction, etc. With calculators on your phone, being able to recite times table is less important than understanding how to cross reduce fractions before multiplying in order to make the problem simpler. With that in mind, I’ve pretty much stopped using text books all together for math and instead just have a white board for us to practice problems on. In addtion, I use Khan Academy to test what they are learning and where they may need more help. I like that it’s free and the tutorials are set up so that the kids can do most of the math on thier own. For my kids in 2nd through 4th grade, I also use MATH IT. This program is great for helping kids learn to crunch basic numbers in thier head. I really can’t emphasize enough how important Math is for logic and thinking skills. If you can nurture this part of math, it will help your kids so much more in the long run. Instead of presenting a problem and telling them how to solve it, I teach basic priciples and formulas and then allow them space to identify how they can apply these principles and formulas. It certainly helps if you know math yourself, so I encourage you to skim through an 8th grade math book first to refresh your memory. Then, randomly start attacking problems on Khan academy. Ask your child, “What are different ways we can approach this problem?” Use calculators to make math go faster and give them positive feedback for thinking through differnet options, even if it means the end result is off a bit. Last, math (and life) is dependant on being organized. Make sure they are taking time to organize their work. Someone once told me that until age eight you are teaching your kids to read and then after that they are reading to learn. That has been a good rule for us. I know the school system pushes reading and writing skill at a young age, but most of my kids have taken until 8 or 9 years old to get to the point where they are proficient readers. But once they cross that threshold, they all become huge book worms and have developed a love for reading. If your child is slow to learn to read, have patience, be consistent, and keep it enjoyable. I used to give my husband a hard time for reading the words for the kids when they were young, but then I realized how he was making reading more enjoyable for the kids and in the end, they all learned to be great readers over time. For teaching kids Kindergarden to 3rd grade to read, these are textbooks and workbooks I have used for all my kids and have been so happy with how easy they are to use. Teach Your Child To Read In 100 Lessons: If you only had one book to teach your child reading, this is it. All my kids have used this as a starting point for reading. You will know if your child is ready for this by starting with the first few lessons, if they are frustrated, stop for a few weeks and come back to it. I even find that we may get a third of the way through just fine and then all of a sudden it gets too hard. That’s normal. Just put it away for a month, focus on reading to them more, and then come back to it. By the time you get to lesson 100, your child will be able to read most early learner books. Get Ready For The Code A, B, and C: This is great to use with the Teach Your Child To Read. It introduces phonics and gives them a way to practice their writing. When they get towards the end of Teach Your Child To Read, you can try the Explode The Code books. This series is one of my favorites becasue it helps in learning all the phonics rules and it’s not overwhelming for my kids. We can do one entire lesson in about a half hour. Pathway Readers Grade 1: This is a very old reading curriculum that has simple stories with great lessons. It’s a great transition from the Teach Your Child To Read In 100 Lessons. The program goes through high school, but I only use it for first grade. Click here to see more of our other favorite books, curriculum, and games while we travel. Writing Skills are important, but again, my kids were all late to the game. Ironically, my oldest, who was a horrible writer until about 13 years old, has written three novels. Gabi writes half the blogs on this website and now Isabelle is also writing blogs here. I model writing for them, they read a lot, and I only have them write about things that interest them. I think those three things have helped a lot in developing thier writing skills. Also, have your kids practice formulating emails occasionally. As a society, we communicate so much through email that I find it’s a much more important skill than essay writing. If your child struggles with writing, maybe they are great at other forms of communication. Think about the world today, some people have blogs, others do podcasts, and some prefer YouTube. You can be successful at just one and do great. Let them submit a video, audio recoriding, or an essay for an ssignment. Give your kids opportunities to complete assignmetns in different media formats and you might be surprised where their talents lie. How many textbooks do you need to roadschool? Before we moved into our RV, I had so many bookcases and file cabinets filled with curriculum that I rarely used. And even in our RV we had a lot that we carried with us just in case we ever sat still and I wanted to focus on their studies more. It never happened. There were always better hand-on ways to learn while we traveled, or other kids in campgrounds to play with, that I just never found it that important to get out the textbooks. You may be way more organized or excited to study from textbooks, which is great. However, if you feel like it’s a drag or it’s being forced, I’m here to tell you it’ll be okay. The goal isn’t to memorize as many facts as possible or even to know a little bit about everything. The goal is to teach your kids how to think and how to learn. If they can research and communicate knowledge, that is a great start. How we fit education into our life on the road? As I mentioned before, it’s much harder for me to fit all their traditional education in while we travel. We move too fast and there are just too many adventures that we are doing. But my kids are sharp, witty, and bright regardless of the lack of formal curriculum. The key is to constantly challenge and push them on some level every day, even if that is just in cleaning up the RV and making food. Seriously, be patient with yourself and know that your best efforts are probably good enough if they are coming from the intention of wanting to spend time with your child and nurture their passions. We have a big family so there is always someone to play with or talk to. Before life on the road, we owned a gymnastics facilty which allowed my kids to play with other kids there. Most of my kids are introverts so they don’t really ask for more social time, but since we’ve traveled so much, they have no probelm striking up conversations with other people and prefer adult conversation now. If your child is extroverted or doesn’t have siblings to play with, then you will probably want to find homeschool meet-ups or look into staying in campgrounds with other kids more often. Anytime we stay at a long-term campground for a month or more, my kids always find other roadschoolers to play with. It’s easy to find homeschool meet ups on Facebook too like the Worldschoolers Facebook group. I certainly don’t think fear of lack of socialization should be a reason to not road school. If your child needs the social interaction, you’ll easily be able to find it. If they don’t really ask for it, they’ll turn out just fine even if they are only with you all the time. Plus the more time you are spending with them doing fun adventures and seeing new things, the less social interaction they will probably ask for. Actual schooling does take time, so if you are road schooling and are concerned about getting your child back into the school system, then you will need to set aside a good chunk of your time on the road to learning. Sure kids absorb a lot on a day to day basis, but over the long term, they may assimilate it at a different rate than when the school system wants them to learn it. Also, if you choose an online program to follow while traveling, keep in mind that these programs are time consuming and require WiFi, which can be hard to find WiFi when you are away from big cities. Some RV parks say they have WiFi, but the signal is so slow that it makes it almost impossible to do the online lessons. Why do I choose this? I love spending time with my kids. They are my best friends. I know some people are against this, but it works for our family. There is no perfect one-size-fits-all approach to life and I feel that creating experiences, learning to adapt and be capable, and raising kids who are thinkers and doers will help them be happy. I would never pretend to think this is enough for them to get into Yale or Harvard, but that wasn’t my goal. I want them to be able to script a life that they are excited to wake up to and I believe the lessons they learn road schooling will be enough to do that. I have high expectations and am pretty hard on my kids if they are lazy, complain, and don’t pull their weight. But I also play very hard with them too. I’m constantly looking for a rad place to camp, an epic hike, a fun mountain bike trail, or a new beach to surf. Work hard, play hard (as a team) is our motto and I think it works pretty well to raise happy, hard working, and motivated kids.